Our new notebook equipped with Intel's "Coffee-Lake-S-CPUs" is finally available. The first benchmarks show that the Core i7-8700 in the upper-class notebook offers a 45% increase in multi-threaded applications compared to the "Kaby-Lake-S" Core i7-7700. 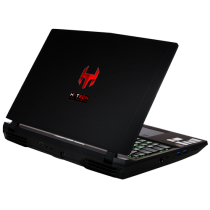 The high-performance device is designed to provide the best possible gaming experience on a laptop. It also has an improved audio setup with built-in subwoofer speaker combination (Creative's Sound Blaster X Pro Gaming 360). INTEL Core i7-8700, Clock frequency @ 4.60GHz, Hexa-Core, Codename: Coffee Lake-S • cores: 6 • Threads: 12 • TDP: 95W • Manufacturing process: 14nm • Interface: DMI 3.0, 8GT/s • L2 cache: 1.5MB (6x 256kB) • L3 cache: 12MB • PCIe-Lanes: 16x (PCIe 3.0) • Memory max. 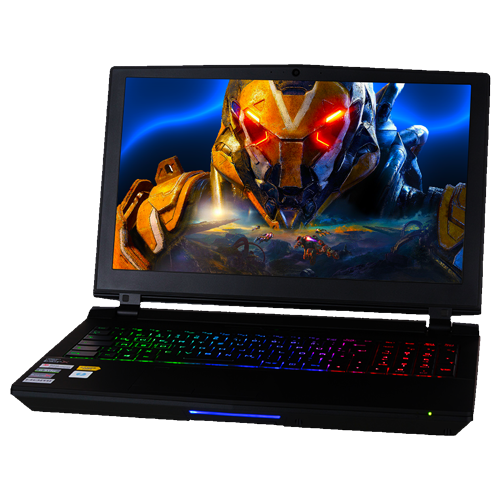 : 64GB • Memory controller: Dual Channel PC4-21300U (DDR4-2666) • Memory bandwidth: 41.6GB/s • IGP: Intel UHD Graphics 630 • IGP-Shader: 192 (24 Execution Units) • IGP clock: 350-1200MHz • IGP interface: HDMI 1.4a ([email protected]), DisplayPort 1.2 ([email protected]), eDP 1.4 ([email protected]) • IGP computing power: 461GFLOPS • IGP-memory max. 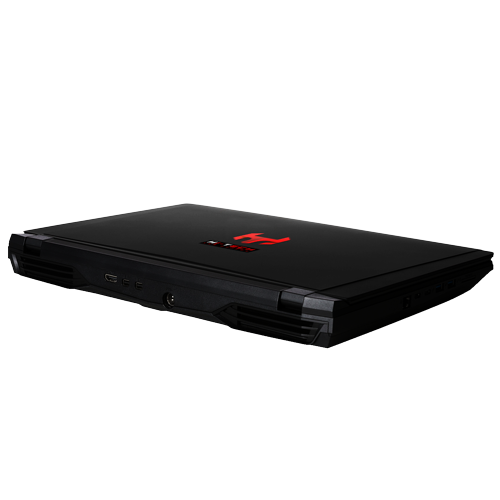 : 64GB • IGP-Features: DirectX 12, OpenGL 4.4, Vulkan 1.0, Quick Sync Video, InTru 3D, clear Video HD, 3x display support, H.265 encode/​decode, VP9 encode/​decode, HDCP 2.2 • CPU-Features: Intel Optane support, Turbo Boost 2.0, vPro, Multithreading (Hyper-Threading), VT-x, VT-d, VT-x EPT, TSX-NI, Intel 64, SSE4.1, SSE4.2, AVX, AVX2, Idle States, EIST, Thermal Monitoring, IPT, SIPP, AES-NI, Secure Key, SGX, MPX, OS Guard, TXT, XD bit, boat Guard. Intel has responded to AMD's challenge - in much the way you might expect it to do, with minimal cost out of corporate visibility, a little bit hurriedly and clearly out of the comfort zone, with which in recent years an effortless but successful dribble policy has been pursued. Annoying and externally unnecessary that you need a new motherboard for the Core i-8000 CPUs, without getting new features, which should hold until next year with Z390 feeder. However, apart from corporate policy, the Coffee Lake models Core i7-8700 and Core i5-8600k that we have tested are definitely on target. 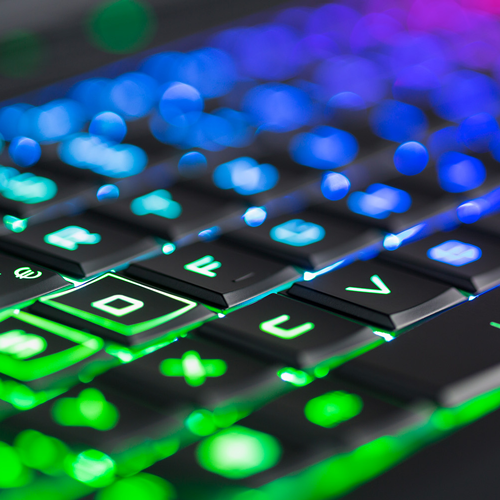 For gamers, eight and more cores only provide significant performance gains in exceptional cases, and per megahertz (IPC), none of the Coffee Lake CPUs, with their proven architecture, can keep up with that. The combination of this IPC strength and the step from four to six cores brings the Core i7-8700 just under the performance crown in games, while in applications provides about two-thirds of the Core i9-7980XE. The i5-8600K has little lag in games (-5.4 index points) - with six cores, SMT brings in less growth compared to the quadcore of previous generations. In applications, the 12.9-index residue is expected to be more pronounced. The Intel Core i7-8700 is an impressive CPU, which thanks to its high clock speeds can handle even more expensive processors. Especially for the single-core performance of the 8700 can deliver - this is the category that is so important for current games and everyday applications. And thanks to the two additional cores, the Coffee Lake flagship cuts a fine figure in multi-core testing. HI-TECH uses only full-copper heatpipe cooling. 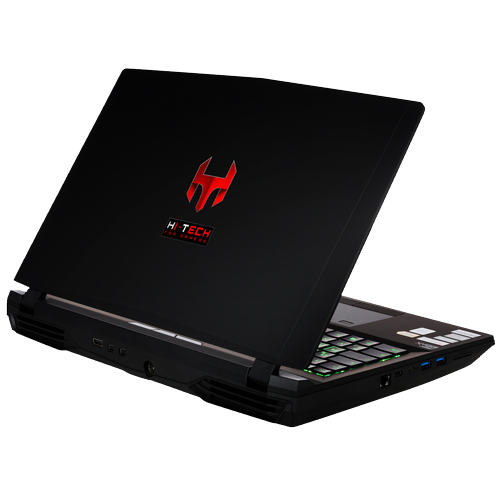 This type of cooling ensures optimal conditions and makes this unique notebook: While HI-TECH only uses this technology, other manufacturers often obstruct only inferior aluminum / copper hybrid or even pure aluminum coolers. These have a much worse cooling performance. Especially in gaming applications when devices are heavily used, there is a risk that the unit overheats. This leads to the fact that the individual components down contacts for reasons of protection, which minimizes the power of the device enormously. In the worst case, there could be breakdowns and could shorten the life lead. 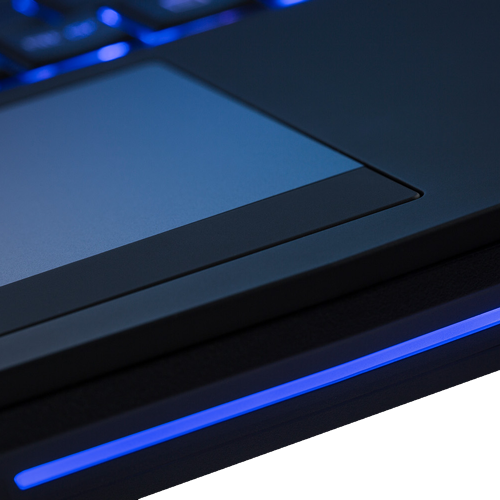 With the HI-TECH-copper heatpipe cooling in contrast the notebook is perfectly chilled even under extreme stress! Need some examples? Maximum 34.9 ° C on the top and a maximum of 34.5 ° C on the bottom are given the high performance, a very low value. Make long gaming sessions are extremely comfortable, more than 24.5 ° C we could not measure on the palm rest. In idle mode, not even a temperature of 28.4 ° C is exceeded. One might assume that the low surface temperatures expense of its components. But thought wrong: In our several-hour full load test (Furmark & Prime), the processor and the graphics card was far from critical regions, a maximum of 76 respectively 80 ° C gave the CPUID from Hardware Monitor. In idle mode, the components are shuttled one to nearly 40 ° C.
INTEL Z370 Express Chipset. Get the edge over your competitors with the Intel Z370 chipset and 8th Generation Intel Core™ processors. From battling your fiercest e-sports opponents to quickly accessing your favorite media files, the Intel Z370 chipset and 8th Generation Intel Core processors provide you with tools such as Intel Turbo Boost Technology 2.0 and Intel Hyper-Threading Technology (Intel HT Technology) to ensure you are ready to compete. Take control of your performance with the Intel® Z370 chipset and unlocked 8th Generation Intel Core processors. Unlock your core, graphics, and memory frequencies to new heights as you conquer your next epic adventure. The Intel Z370 chipset paired with new unlocked 8th Generation Intel Core processors sets free a top gaming experience. The Intel Z370 chipset and 8th Generation Intel Core processors enable support for Intel Optane memory which speeds up access to your favorite programs and files. With the fast application response times enabled by Intel Optane memory, you can take the advantage over your competition. Experience immersive sound quality via Intel High Definition Audio (Intel HD Audio) and enable your PC to respond to your voice commands with Intel® Smart Sound Technology (Intel SST). Expand your storage capabilities with the Intel Z370 chipset and 8th Generation Intel Core™ processors. Quickly transfer your files to your phone or tablet via the integrated USB 3.1 Gen 1 support of the Intel Z370 chipset. Create fast storage volumes and back-up your media and critical information via RAID support on PCI Express* SSDs and SATA devices. Enable blazingly fast data transfers to your favorite devices with PCI Express* 3.0. CRUCIAL SO-DIMM 16GB, DDR4-2400, CL17, Typ DDR4 SO-DIMM 260-Pin, Ranks/Bänke dual rank/x8, Modul 12x 16GB, JEDEC PC4-19200S, CAS Latency CL 17 ( ~14.17ns), 1.20V, 30mm. With the Crucial SO series you get fast and reliable high-performance storage that provides a good base for both computer enthusiasts and regular consumers. In addition to the usual benefits of upgrading memory, such as faster load times, improved system response, and better processing of data-intensive games, the modules offer many additional benefits. DDR4 is the evolution of DDR3 and offers a number of innovations and advantages over its predecessor such. Up to 40% lower power consumption, higher speeds, higher data density (allows for memory modules with a capacity of up to 128 GB, in the future up to 512 GB) as well as improved operational stability through advanced error correction techniques. "There is no substitute for RAM - except for more RAM." As this wrench wisdom states, enough memory is needed to keep games and PC work from stalling. The Random Access Memory is always used when the buffer (cache) of the processor is too small and the SSD or hard disk is too slow. Unlike HDDs and SSDs, RAM is volatile memory. This means that data is only stored as long as the memory chips are supplied with power. Performance - incredibly fast and quiet. Real-time raytracing and AI. And the mobility of the world's thinnest and lightest design. Everything you need for the best gaming. 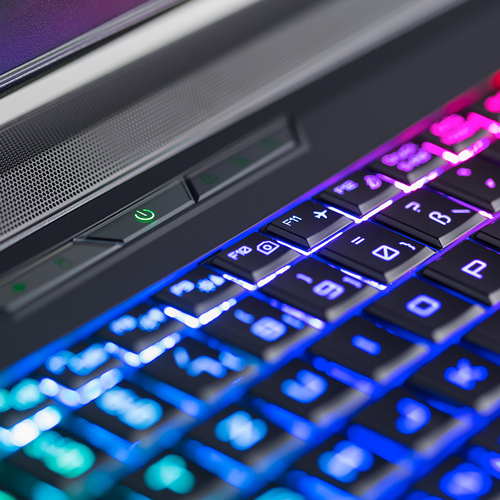 Only in GeForce RTX gaming notebooks. The GeForce RTX graphics cards are based on the Turing GPU architecture and the groundbreaking RTX platform. This means: UP TO SIX TIMES FASTER PERFORMANCE, REAL-TIME RAY TRACING IN GAMES, KI MAKES GRAPHICS GREAT. Enjoy gameplay with no jerking or tearing, with refresh rates up to 144 Hz. This is the ultimate gaming display and the preferred gear of real gamers. Your laptop connected to the power adapter runs much quieter while playing. This mode intelligently adjusts the game's frame rate. 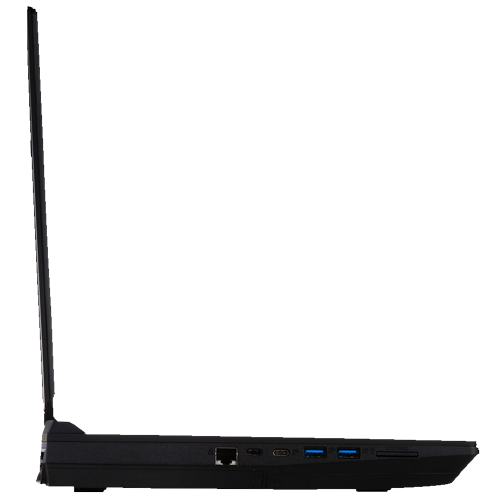 At the same time, the graphics settings are configured to achieve optimal performance. GeForce RTX combines advanced VR rendering, real-time raytracing, and AI to deliver a whole new VR level. The battery lasted for 5:24 hours in idle mode. Idle mode is simulated via Battery Eater's Reader's test using the screen's minimum brightness, enabled energy savings plan, and disabled radio modules. The load runtime is ascertained using Battery Eater's Classic test with maximum screen brightness and the "High Performance" profile. The laptop stopped the Wi-Fi test after 4:18 hours. Websites are opened automatically every 40 seconds using the "Balanced" profile and a screen brightness of approximately 150 cd/m² in this test. We check the video playback time by running the short movie Big Buck Bunny (H.265 encoding, 1920 x 1080 pixels) in a loop. The wireless modules are disabled and the screen's brightness is set to approximately 150 cd/m². The notebook managed a runtime of 3:48 hours. We also tested the gaming runtime by running the in-game benchmark of the race game GRID: Autosport (1920 x 1080 pixels, Very High, 4x MSAA) in a loop. The 17-inch laptop achieved a runtime of 1:08 hours here. All of the Samsung 860 EVO drives are also outfitted with the company’s latest 64-layer three-dimensional (3D) Vertical TLC NAND (V-NAND) flash memory. This NAND utilizes Samsung's proprietary vertical cell structure based on 3D Charge Trap Flash (CTF) technology and also uses vertical interconnect process technology to link the 3D cell array. By employing both of these technologies, Samsung's 3D V-NAND is able to provide better scaling than planar NAND flash, at least according to Samsung’s data. This latest V-NAND, in conjunction with the new controller and firmware tweaks also allowed Samsung to increase the endurance ratings on these drives, versus the previous-gen 850 EVO. Like its MLC-based counterpart, the Samsung SSD 860 PRO, the SSD 860 EVO with its TLC NAND is among the highest-performing SATA-based solid state drives we have tested to date. The Samsung SSD 860 EVO didn't lead the pack across our suite of benchmarks, but overall performance across a variety of tests was strong and the drive consistently finished at (or near) the top of the charts. The 860 EVO's sequential transfers and access times are some of the best we’ve seen from a SATA-based drive, the drive led across the board in IOMeter along with the 860 PRO, and it put up strong 4K transfers as well relatively to competing offerings. The Samsung SSD 860 EVO is among the most affordable, high-performance solid state drives on the market. The drives also carry a solid 5 year warranty and have good endurance rating, though endurance is no nearly as high as the more expensive SSD 860 Pro. HITACHI Travelstar 1000GB, Travelstar™ 5K1000 is a 5400 RPM, 500GB/platter, 2.5-inch hard drive available in 640GB, 750GB and 1TB models. T his standard 9.5mm, two-disk design, intended for use in notebook PCs, external storage, gaming consoles and other mobile applications, leverages Advanced Format, which increases the physical sector size on hard drives from 512 bytes to 4096 (4K) bytes to increase drive capacities and improve error correction capabilities. Consult the HGST Advanced Format Technology Brief for more information on using these hard drives. The Travelstar 5K1000 is the first 1TB 2.5-inch HDD with a 6Gb/s SATA interface and delivers best-of-breed 5400 RPM performance in PCMark 7 and PCMark Vantage testing. The 5K1000 continues to demonstrate HGST’s ecological leadership with its halogen-free design and power-efficient operation, and carries the EcoTrac classification. Travelstar 5K1000 delivers the highest mobile capacity with excellent performance to meet the needs of consumers and commercial users in an eco-friendly, rugged design. CREATIVE Sound BlasterX, Hi-Resolution Gaming 360 ° Sound. The SBX technologies create unprecedentedly realistic sound with stunning 3D surround effects for speakers and headsets. Listen and be heard very clear - in videoconferencing, multi-player games and online chats. During our test phase, we especially noticed the gaming surround mode. The spatial sound representation (360 degrees) works perfectly. In games like Battlefield 3 or Call of Duty: Black Ops 2, we were able to make out the direction of opponents clearly. Especially in combination with a high quality headset this technology works surprisingly well. But even when using a speaker system, the new Creative sound card can convince. Clear height, intense bass and clean mids were the order of the day.